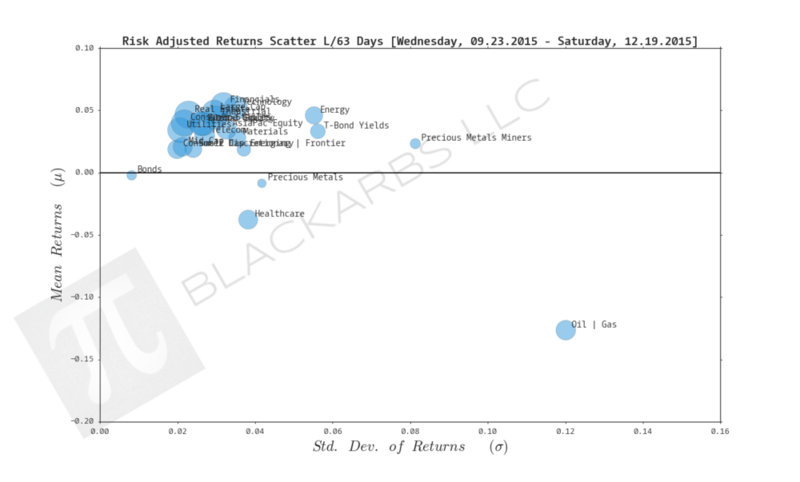 The Healthcare composite has shown the most durable positive, relative performance of the groups. It has been a top 3 performer over the last 252, 21, 10 trading day periods. Over the last 63 trading days Treasury bond yields have been the number 1 performer. If Treasury yields continue to outperform, it's likely that any selloff in equities will reverse course. Energy and Oil + Gas continue to underperform across time periods with no end in sight. Precious Metals Miners are also hurting over the last 252, 126 and 63 day time frames. I wonder if, at some point a bullish case could be made given that their largest input (Oil and Gas) continue to decline in price. 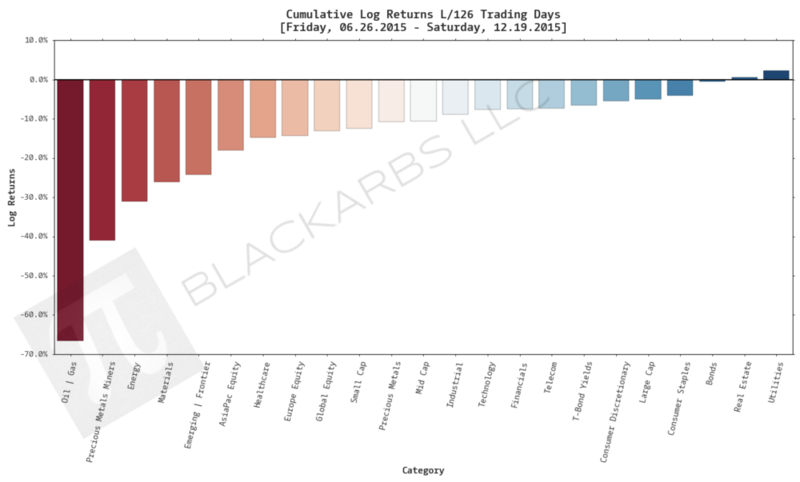 It's interesting that over the last 21 trading day period there were no composite groups with positive cumulative returns.